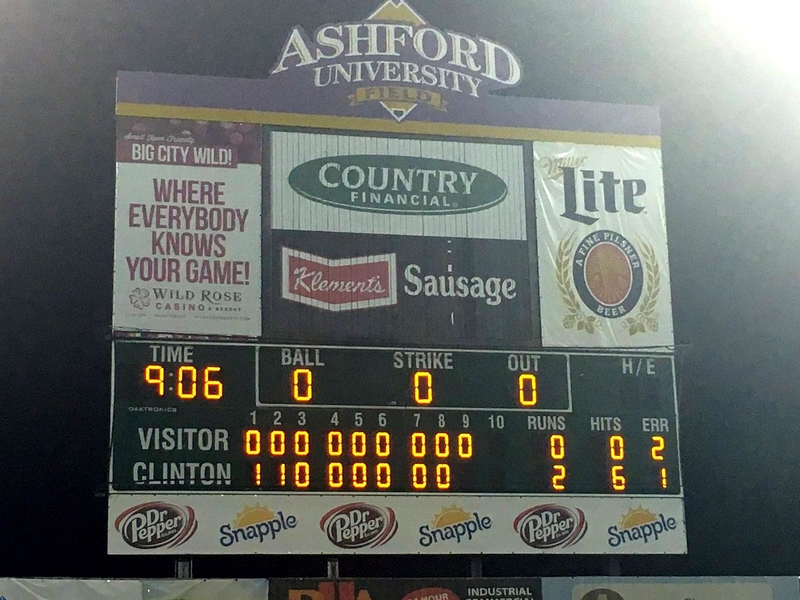 Four Clinton LumberKings pitchers combined to no-hit the Beloit Snappers at Ashford University Field on Tuesday, striking out 11 batters and walking one on the way to a 2-0 win for the home team. The first of the four right-handed pitchers to take the mound for Clinton was Pedro Vasquez, who made a short start as scheduled. He struck out four in three innings before being relieved by Joey Strain, who struck out two in three innings. Strain was credited with the win. Lukas Schiraldi pitched the 7th and 8th innings for Clinton, striking out four and walking one (Skye Bolt), before Matt Walker pitched a perfect 9th inning to earn the save. Walker struck out Jesus Lopez swinging to finish the no-hitter. 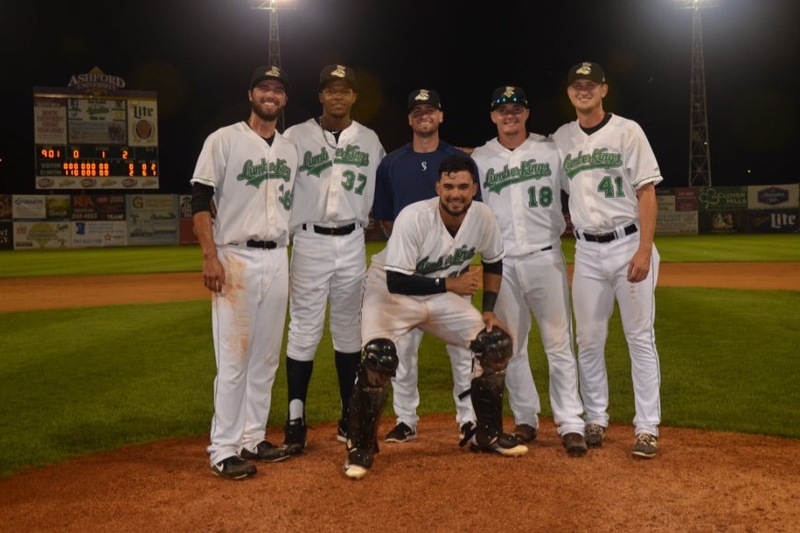 The four Clinton LumberKings pitchers who combined to throw a no-hitter Tuesday pose with their catcher, Arturo Nieto, and their pitching coach, Peter Woodworth. The no-hitter is the 25th registered by the Clinton club during its franchise history, which I wrote a bit about recently when the team collected its 4,000th Midwest League game. It is the third combined no-hitter for Clinton — the last one was on May 1, 2015, by Daniel Missaki, Kody Kerski and Troy Scott versus the Cedar Rapids Kernels — and the first home no-hitter for the LumberKings since Victor Sanchez pitched one against the Lansing Lugnuts on July 17, 2013. The LumberKings currently have the Midwest League’s best record in the second half (31-14). They lead the Western Division by six games over the Kernels. This entry was posted in Beloit Snappers, Cedar Rapids Kernels, Clinton LumberKings, Lansing Lugnuts, Midwest League. Bookmark the permalink.